Posted in appetizers, entrees, Italian, recipe, savory by Antonio Tahhan on June 29th, 2009. You can follow any responses to this entry through the RSS 2.0 feed. You can leave a response, or trackback from your own site. Job well done!! Every one needs to know about this recipe! I just Re-tweet!!! Absolutely wonderful Tony! I love these ingredients…in the adult version I would add chili too! I’m always pumped about pizzas that aren’t the same old boring tomato sauce ones. Ever find that people get a bit carried away with the toppings too? That’s why this one rocks. Simple, with a handful of ingredients. I’m a kid again for this dude. I loved your thoughts for the kids!You DO seem like the perfect person to do such things with kids,you have this amazing talent of making everything look like fun already..Im sure they (and you)had lots of fun..! This is a lovely version on the Pizza! 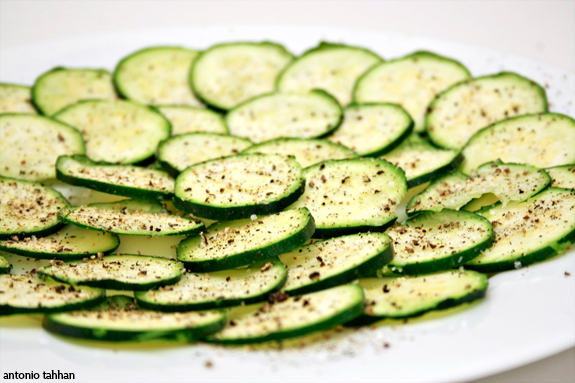 Tony, this is perfect for summer…nice & light and worthy of opening a crisp white wine. This looks very delicious Tony! You did such a great thing with those kids! Yes, we definitely need to start early in introducing kids to the right food — right meaning healthy AND delicious 🙂 And that pizza sure does look delicious! Oh my gosh, what fun! 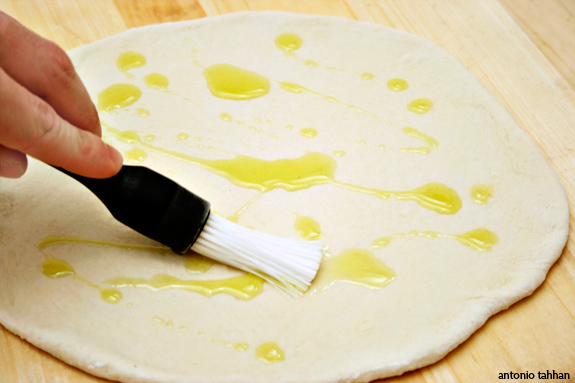 That’s one lesson I would love to sit in on, too, and I know how to make pizza already! the schools should call more people like u! Can’t wait to try this with my son. 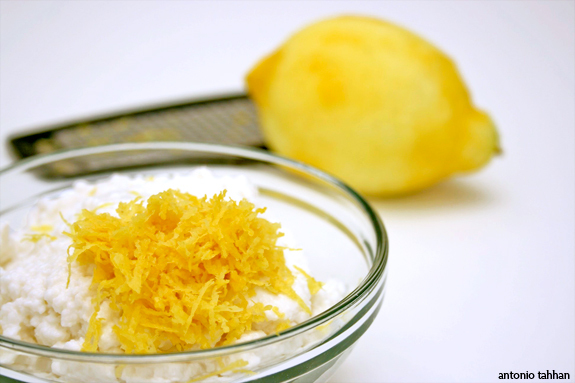 Lemon and ricotta always a delightful combination. One of the things I remember standing in awe of, was my grandmother’s Wacky Cake. The vinegar in the batter sent me over the edge, and my six-year old mind thought she was crazy. However, it has remained ensconced in my recipe collection for all time. I featured it on Mother’s Day, and feel as though I am passing the wonder of cooking alchemy down to my son with each cake. 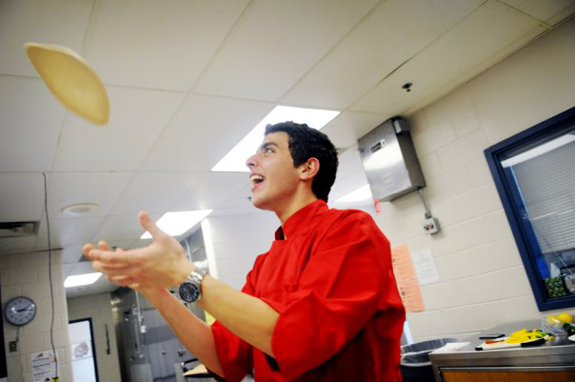 Thanks for inspiring the love of the kitchen with the next generation. The pizza looks incredible. 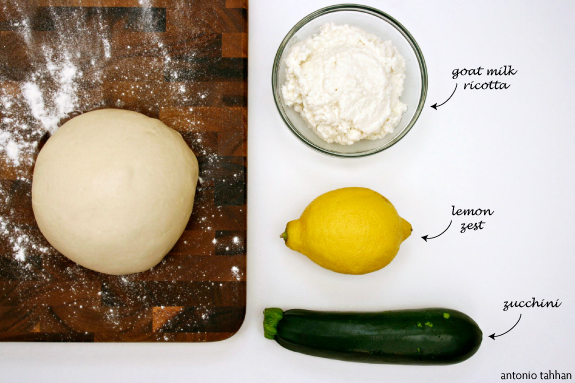 Have you tried making a wheat crust? I’m curious how it would turn out. That looks absolutely delicious. 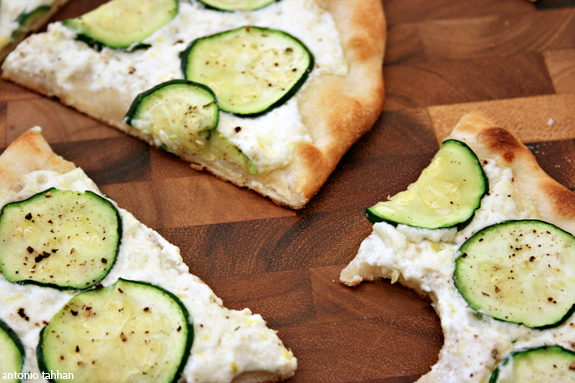 I love pizza with different toppings … The zucchini and goat ricotta make for a great, light summer pizza. Hi Bassel. 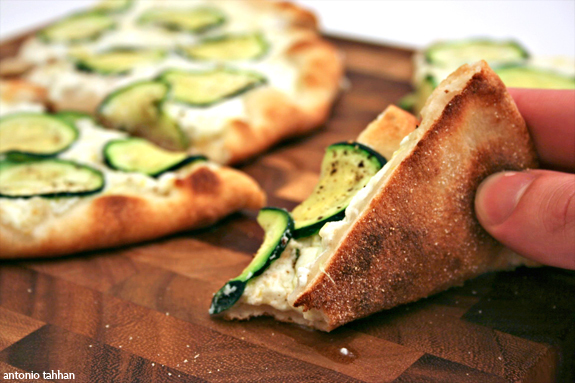 I have tried a whole wheat crust, but not with this pizza. I bet it would be great though – it would add a subtle nutty flavor. here my love for all yore amze recipe also for a magnificent aloving site blog the blog! here i say i can learn from you more and more and i mmasayfor me for many yot give the a inspiration for your amaze recipe food… for all now for me as ann can say here we have one big a d,c chef…. for you a big chef! cer ami ..
here i’m very sorry for my writ cos, i ffl bad. but just to see your site a blog yes a givee live a god live. and good to be here to lrean from a loving work again we i say a find a md, for amaze recipe your recipe.